The coal-fired steam boiler burns coal (or any other flammable item) to generate steam to power machines. You will need to fill the water reservoir by connecting it (via fluid pipes) to a water source or with buckets of water. 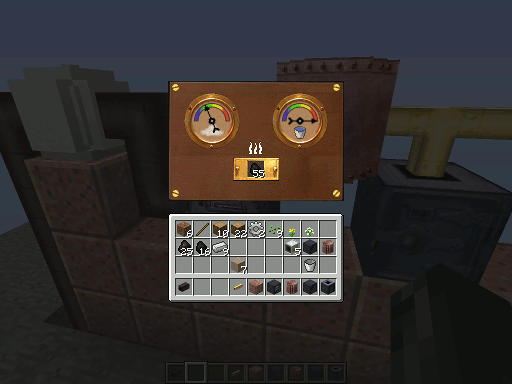 Note that the steam pressure gauge will not increase if another machine (including a steam tank) is consuming all of the steam produced by the boiler.